This chic tallboy brings effortless style to any space, so you can keep your home organised and clutter-free! 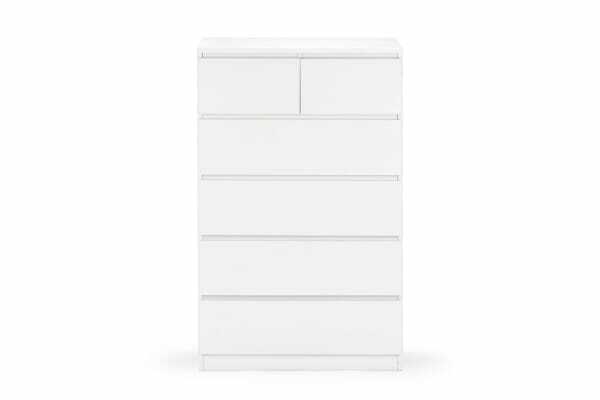 With six generously sized roller drawers, clean lines and a stunning, white wood textured finish, the Ovela 6 Drawer Tallboy will bring some serious chic style and storage to your bedroom, hallway or lounge. Enhance the look by shopping the whole Ovela Maribo Collection here. 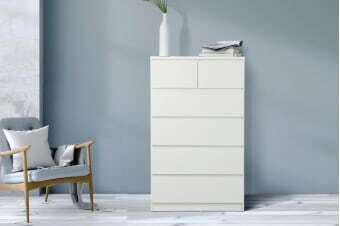 Why settle for furnishing that lack innovative design? 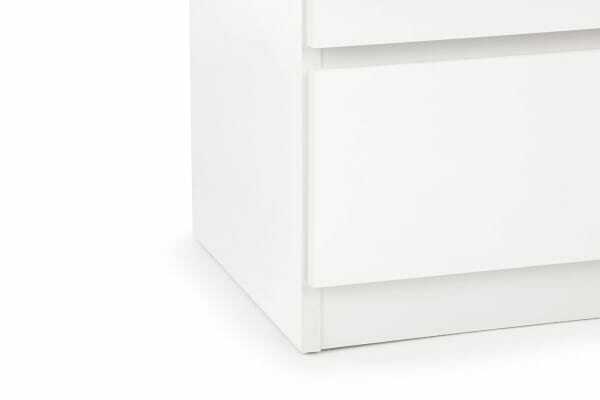 Unlike other drawers on the market with standard sliders or none at all, these super smooth, high quality wheeled sliders make the opening and closing of drawers effortless for easy access to belongings.